Originally announced to be able to charge the 95 kWh battery pack at 150 kW, there are now tests to confirm it is true. 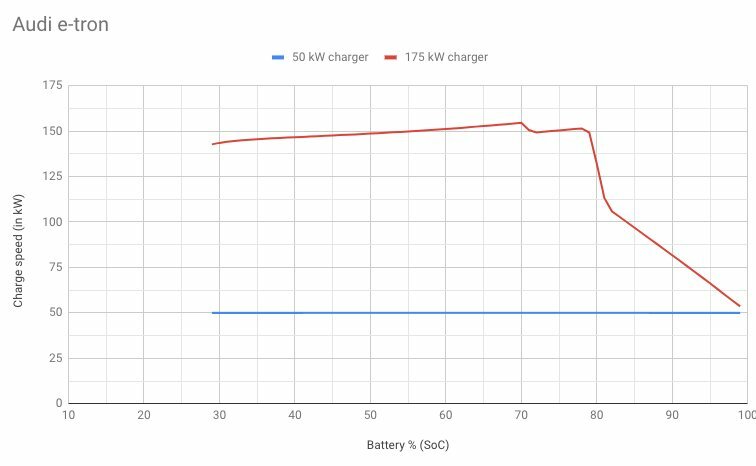 Using a 175 kW DC combo charger, the car was able to accept 140 kW below 30% SOC (state of charge), and then 150 kW at around 55% SOC up to about 80%, even as high as 155 kW at 70% SOC. This charging rate allows for a recharge of the batery pack from 0 to 80% charged in around 30 minutes.